The islands of Mozambique are havens of pure beauty and tranquillity, the epitome of beach holiday perfection, away from the rat race. 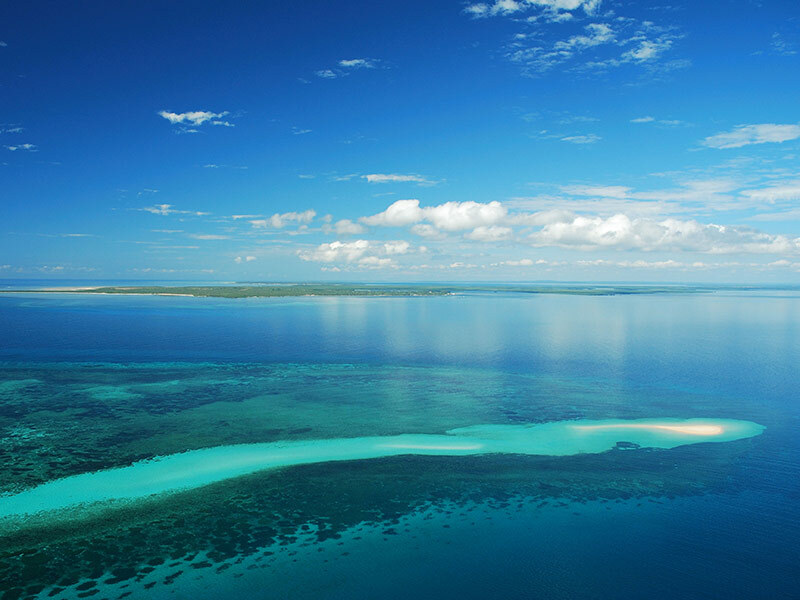 The choice of islands and hotels in the north off Pemba, and in the south off Vilankulo and Maputo is mind-boggling. Get to the Quirimbas Archipelago from Pemba in the north – wild Mozambique islands just waiting for honeymoon couples, families or groups of friends finding nature. This is the kind of holiday you have been dreaming about! But which island do you choose? Contact one of our consultants who understand this region for assistance. Ibo Island is one of the only Quirimbas islands supporting local Mozambicans who are part of the successful eco-tourism ventures there now. The island emanates a history of Arab, Indian, Chinese and African influences, from years gone by when it was an important trading post. From here, visitors can take a mobile island hopping dhow or kayak safari to see other islands nearby. Matemo and Quilalea islands nearby offer luxury beach resorts with fantastic facilities and wonderful water sports, not to mention the fresh seafood! Vamizi Island is paradise untouched, a place you will never forget because it is elite luxury in the heart of a protected wilderness! Just off the port of Vilankulo, lie the four main islands of the Bazaruto Archipelago, reached by boat or light aircraft transfer. These islands offer some of the best accommodation in Mozambique, the best diving and relaxing spas ever seen, and some of the best marine wildlife ever to viewed -including the rare dugong. The historical Ilha de Mozambique, or Mozambique Island, is now a popular Mozambique island destination, only three kilometres long and 500 metres wide. This tiny isle boasts a fascinating blend of Indian, Portuguese, African and Arab cultures and architecture. Just off the Maputo Harbour and a boat ride from the Santa Maria peninsula lies Inhaca Island, famous for its unique wildlife and untouched habitats. You can see the Marine Biology Museum here and find creatures such as the Loggerhead turtle, Pelican, Flamingo and White-faced owl. There are great beaches on this island and guests can take boat rides to see Portuguese Island which is totally deserted except for remarkable sandy beaches! Click here to read more about Maputo and the islands off shore. Booking a Mozambique island holiday package does require some planning but the easiest part is when you arrive and you can really relax in paradise. For more ideas have a look at our hand-crafted holiday packages or romantic honeymoon getaways!